About the Blog & Other Notes | They Might Be Gazebos! It happened back in a dingy basement at Kearney State College in 1979. I was introduced to this neat new game. It came in plain white box and had three little books in it. You had to use your imagination and some strange dice. My first character was a human thief named Ren. He was horrible killed by a pack of giant rats. I was bitten by the RPG bug and never looked back and the rest is history. So where did I get that silly name? 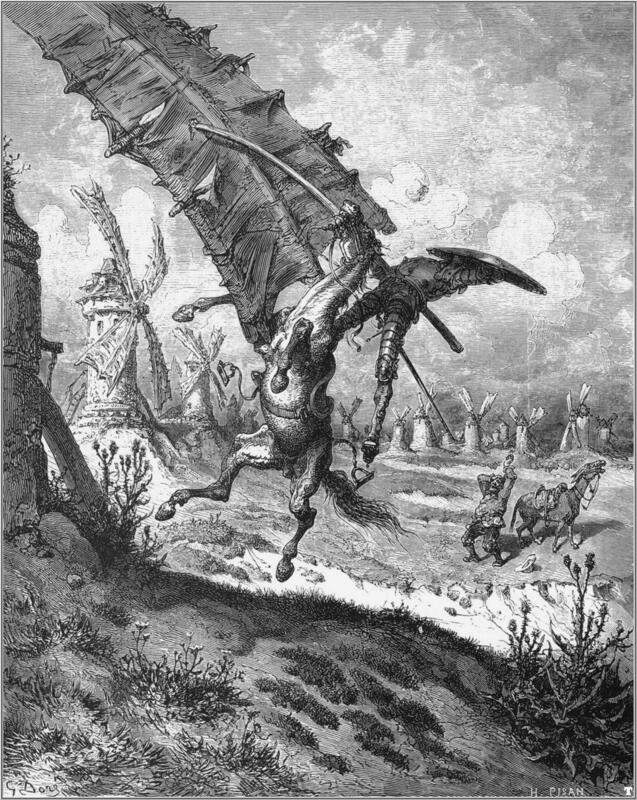 Well if you’re a true blue gamer then you should know the story of Eric and the Gazebo mixing that up with Don Quixote’s mistaking windmills for giants. Well, you get the idea.